Karey Kirkpatrick is an American screenwriter and director. His films include James and the Giant Peach, Chicken Run, The Spiderwick Chronicles, Charlotte's Web and The Hitchhiker's Guide to the Galaxy adaptation, along with contributions to the Smurfs films. He has also directed the films Imagine That starring Eddie Murphy as well as Over the Hedge. Kirkpatrick wrote the English-language screenplay for U.S. release of The Secret World of Arrietty, in 2012 and From Up on Poppy Hill, in 2013. His brother is American songwriter and musician Wayne Kirkpatrick, with whom he wrote the 2015 musical Something Rotten!. Kirkpatrick began his career as a staff writer at Walt Disney Feature Animation, where he worked for more than three years. During that time, he earned his first screenwriting credit as a co-writer on The Rescuers Down Under. Since then, he's been working non-stop as a freelance screenwriter. His early writing credits include Honey, We Shrunk Ourselves and James and the Giant Peach, and The Little Vampire. In 1997, Kirkpatrick teamed again with James and the Giant Peach executive producer Jake Eberts to write Chicken Run for Aardman Animations and DreamWorks SKG. Nominated for a Golden Globe Award in 2001 for Best Motion Picture – Musical or Comedy, Chicken Run has the distinction of being the best reviewed film of 2000. Kirkpatrick also wrote the screenplay adaptation of The Hitchhiker's Guide to the Galaxy for Touchstone Pictures and Spyglass Entertainment. Kirkpatrick has a longstanding relationship with DreamWorks Animation, where he has contributed as a writer or story consultant on The Road to El Dorado, Spirit: Stallion of the Cimarron and Madagascar. 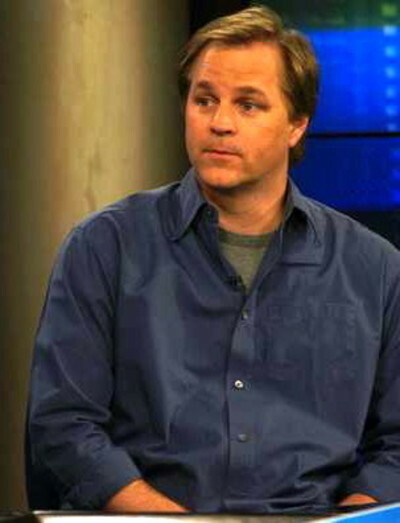 In May 2006, DreamWorks Animation released Over the Hedge, for which Kirkpatrick co-wrote the screenplay and made his directorial debut, sharing the credit with Tim Johnson. That same year, Kirkpatrick co-wrote the screenplay of the live-action adaptation of E.B. White's classic Charlotte's Web for Paramount Pictures/Walden Media/Nickelodeon Movies. The film starred Dakota Fanning and the voice talents of Julia Roberts, Robert Redford, Steve Buscemi, Oprah Winfrey, John Cleese and many others. He produced and co-wrote, with partner Chris Poche, the original comedy Flakes, which completed filming in New Orleans in January 2005 and stars Zooey Deschanel, Christopher Lloyd and Aaron Stanford. He directed the Eddie Murphy dramedy Imagine That for Paramount Pictures. Kirkpatrick wrote the English-language screenplay for U.S. release of The Secret World of Arrietty, in 2012 and From Up on Poppy Hill, in 2013. He worked on The Smurfs 2. In September 2013, it was announced that Kirkpatrick is writing and directing an original comedy film from DreamWorks Animation about a "dim-witted blue-footed booby who learns that it isn't the size of your brain, but the size of your heart that counts." Around 2010, Karey and his brother Wayne began working on the musical Something Rotten!. In 2015, they were nominated for a Tony Award for Best Original Score (Music and/or Lyrics) Written for the Theatre. Karey was also nominated for Best Book of a Musical along with John O'Farrell. In 2017, it was announced that Kirkpatrick would write and directed an animated comedy titled Smallfoot, which will be produced by Warner Animation Group for Warner Bros. Pictures. He was announced alongside the film's cast, which include Channing Tatum, James Corden, Zendaya, Gina Rodriguez, and more.